London: Arsene Wenger warned his Arsenal stars not to get carried away after they gave another demonstration of their sky-high confidence with a 6-0 demolition of Ludogorets in the Champions League. 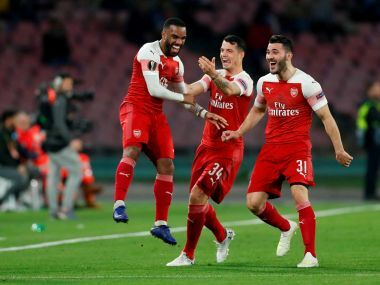 Wenger's side are in peak form at present and Bulgarian minnows Ludogorets were powerless to prevent their hot streak extending to seven successive victories in all competitions. Alexis Sanchez scored a sublime opener and Theo Walcott and Alex Oxlade-Chamberlain were also on the scoresheet at the Emirates Stadium on Wednesday before Mesut Ozil hit a second half hattrick. With Arsenal top of their Champions League group after three matches and sitting pretty in the Premier League, where they are behind leaders Manchester City on goal difference, Wenger and company are finally feeling good about themselves after a troubled time last term. 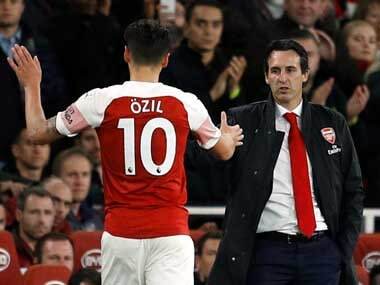 But the Gunners boss knows over-confidence could be fatal to Arsenal's chances of winning major silverware and he urged his players to stay humble. "Let's not be too quick on the verdict. 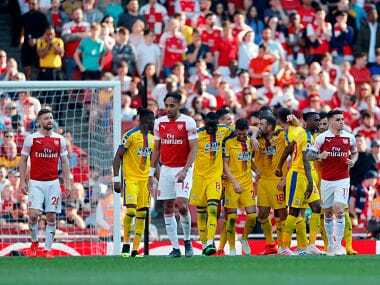 We have a strong squad and a strong spirit, but you have to take care of it and keep your feet on the ground," Wenger said. "Maybe the confidence is high, we have a good balance at the moment in the team. "In this game a lot is linked with confidence. I feel that at the moment because we win game after game, maybe we get through dodgy periods with less psychological damage. "The only way to win something big is to focus on the next one and work on humility." 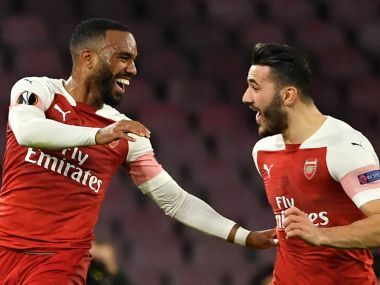 Despite leading 3-0 by the 46th minute, Wenger's team kept their foot on the gas and the Frenchman had no qualms about running up the score because he believes fine-tuning his attack will pay dividends in the long run.